When business people speak of innovation, the focus is usually on a pioneering product or state-of-the-art service that will “revolutionize the industry.” But innovation can apply to any aspect of your company — including customer service. Many business owners perceive customer service as a fairly cut-and-dried affair. Customers call, you answer their questions or solve their problems ― and life goes on. Yet there are ways to transform this function and, when companies do, word gets around. People want to do business with organizations that are easy to interact with. 1. Welcome failure. 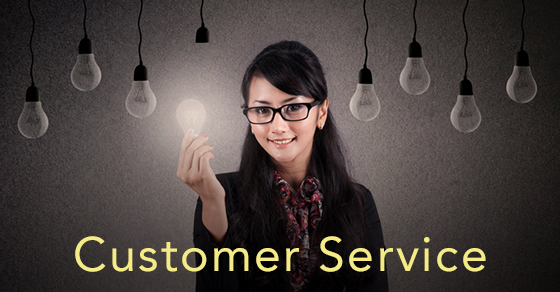 Providing world-class customer service involves risk, and inevitably you’ll sometimes fail. For example, many businesses have jumped at the chance to use “big data” to develop automated systems to direct customers to answers and solutions. But the impersonality of these systems can frustrate the buying public until you establish the right balance of machine and human interaction. Remember, every failure opens the door to better strategies for serving your customers. 2. Link compensation to employees’ contributions. Companies that fail to reward innovation aren’t likely to retain their best customers or establish a good reputation. Because customer service employees tend to be paid hourly or relatively nominal salaries, consider a cash bonus program for the “most innovative idea of the year.” Or you could hold semiannual or even quarterly innovation challenges with prizes such as gift cards or additional time off. 3. Praise the groundbreakers. Employees who challenge customer-service tradition may find themselves at odds with management. But don’t be too quick to reprimand those with new ideas or methods. Fresh language and modes of communication enter the public consciousness regularly. Give companywide recognition to those who find ways to adapt — even if their initial efforts bend the rules a bit. 4. Be the customer. Among the most simple and practical ways to innovate your customer service is to simply pretend you’re a customer to get a firsthand view on how your employees treat those who contact your business. Business owners can make these calls themselves or, if your voice is too recognizable, find someone who’s less familiar but capable of taking detailed notes of the interaction. Finding new ways to improve your company’s customer service isn’t easy. But innovations are always just one bright idea away. If you’d like more information and ideas about building your bottom line, contact our firm. 2018 – 05/14 – Can you deduct business travel when it’s combined with a vacation?